Our goal is to provide people everywhere with the opportunity to earn credits and/or cash playing our e-sport game – Frog Fun. 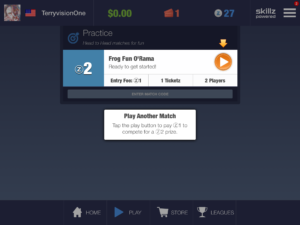 Tournament Play is NOW available for iOS devices (iPads, iPhones, …etc). 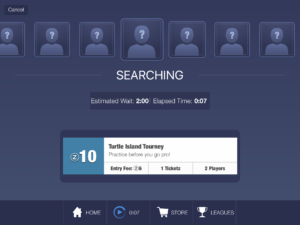 Tournament Play for Android devices will be available shortly. 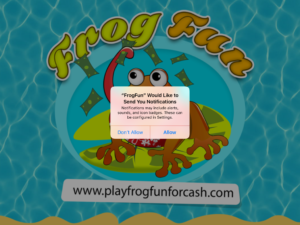 You’ll need to “Allow” Frog Fun to send you notifications if you want to play against others. Don’t worry, this is cool and necessary : ) However, if you only want to play against the computer in non-Tournament Play mode, you can choose “Don’t Allow”. First of all you’ll need to play two games against the computer in order to establish an initial ranking. This is actually a fun and non-threatening way to begin to engage within tournament mode. 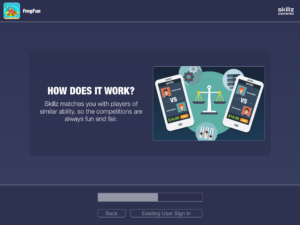 After you play your first two games against the computer, Skillz will match you with other players of the same ability to keep everything fair. You will also be able to upload your own avatar image and create your own name before beginning a match rather than accepting a default avatar and name. If you’re curious, Skillz creates names by pulling from two name list combinations that have never been paired before. However, it will be more fun if you create your own. 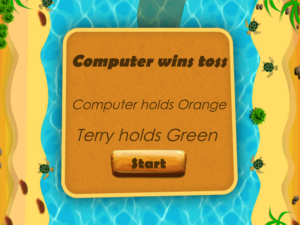 Once one of the two initial required games against the computer begins, the environment will change back to the typical Frog Fun game. 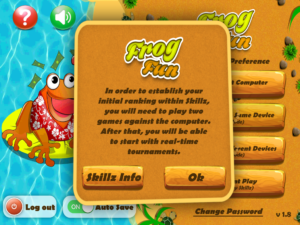 Notice that it will be your Frog Fun name that will be displayed once the game begins, however, games played within the Skillz environment will NOT be recorded within your Frog Fun stats, only within the Skillz environment where you can win credits and cash rewards. 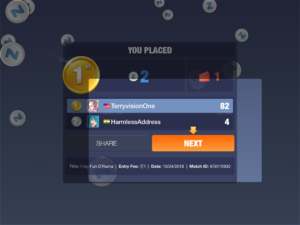 Skillz will let you know if you won or lost. Skillz will also let you know your ranking within the Skillz environment. Remember, you’ll need to play TWO games within the Skillz environment to establish your ranking before you’re able to play against others. Ok, so now you’ve finished the first two required games. 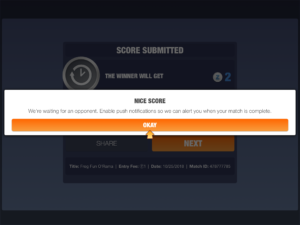 Click “OKAY” to allow push notifications for when Skillz finds a matching player that is currently online. 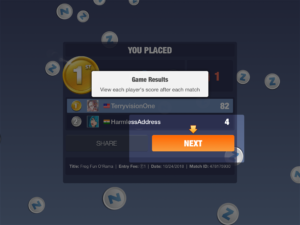 When you choose to challenge other players, Skillz will do a search and match you with other players of the same ability who are currently online. 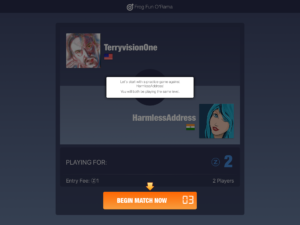 If you can’t find anyone or if you have questions, send an email to contact@frogfun.app and one of us will jump online to give you a chance to play a game or two. To exit the Skillz Tournament environment, swipe to the left from the upper right corner of the screen. When you do that, you will be presented with a menu of choices one of which will be “Exit Frog Fun”. Selecting “Exit Frog Fun” will take you out of the tournament environment and return you to the regular Frog Fun starting screen. Thank you for your support of this extremely fun and challenging game! This is an unprecedented treat for all people who enjoy the strategy of this app!